First love, second chances, and secrets that come back to haunt. After seven years away, twenty-four-year-old Free Spalding is back in Pointe Hill, Georgia, on a mission to save her late father's restaurant from a real estate deal that could destroy everything he spent his life working for. When it turns out her ex is the one behind the deal, Free is determined to fight him, for the sake of her family and the community she abandoned so many years ago. But just as Free begins to feel at home again, a shocking secret comes to light, challenging everything she thinks she knows about love, family, and forgiveness. 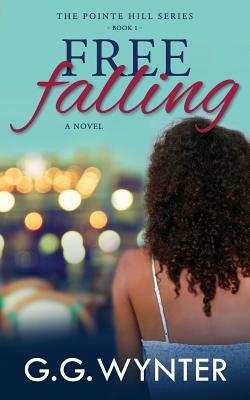 FREE FALLING is a Georgia Romance Writers' Maggie Award finalist. It is the first full-length, stand-alone novel in the Pointe Hill Series. and a setting that feels real and evocative. This is an author to watch." of the vividly painted town of Pointe Hill." "Wynter vividly describes the small town atmosphere, its hive of gossip and the trials of running a family-owned restaurant against seemingly insurmountable odds, while juggling the regret of lost love and hopes for the future." "A neighborhood I want to live in full of people I want to hang out with and businesses I want to spend my money at--the people and places felt very real."